Fifth Third Bank is now “the curious bank” whatever that means. Until recently, I didn’t even know what 5/3 meant. 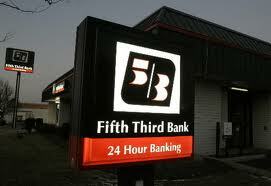 Ironically, I’ve always wondered what Fifth Third (5/3) stood for in the first place. Researching it, I found a less than poetic answer. In 1908, Fifth National Bank and Third National Bank merged. So much for my theory the name was derived from some exotic economic concept. Nope. Just a couple financial institutions combining interests. Yawn. Happens all the time. But something bothers me about a bank introducing itself as curious. For one thing, it’s vaguely negative. Sort of like when you describe someone as “interesting.” Red flag. Is that the best you can say about yourself? 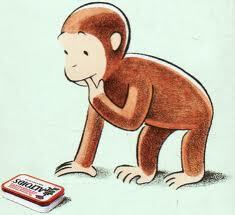 Curiosity worked for Altoids. But a bank? On another level, the line seems more strategic than creative. Overtly stating we are “the curious bank” is like saying you’re cool. If you were you wouldn’t have to say it. However, if one is going to put “curious” in the tagline maybe it should have been qualified -somehow acknowledging the acute challenges facing banks and their customers. I’m worried that all by itself curious comes off as naïve or even annoying, like a precocious child. Admittedly, I have not seen the broadcast yet, nor could I find any film online. But I did hear a radio spot. Its oddness is why I wrote this story. So it did catch my attention. I am curious. I also went to the bank’s website where they attempt to explain curious. Are they on to something? I’m just not there yet. Inspiring belief. Making myths. For precious few brands it’s a Godsend. The Gods of Advertising are stingy! I recently guest lectured at Depaul University about myth making in advertising. I’ve been captivated by the topic for years, ever since I experienced, first hand, a “curiously strong” myth of my own. With the Altoids campaign, we created a brand story far more powerful than any rational messaging ever could. After that, mere copywriting was no longer enough. Trying to find the “curious strength” for every client became my job. It’s difficult but that was the mandate. People are no longer moved by a product’s “unique selling proposition” or USP. And they haven’t been for years. Facts alone don’t move products like they used to. Probably because facts don’t move people like they used to. We’ve wizened up to the come-ons and bullet points. We’re either bored by them or cynical. And the more saturated the marketplace the more indifferent we become. If people want facts about something they Google it. In my view, to be truly great, advertising must inspire belief. More than just get people to buy something, advertising must get people to buy into something: a belief about the goods or services that transcend its practical use. This is hardly a new theory. Most of my peers have been extolling similar notions for years. Remember when ad folk tossed around the word “branding?” A bad word now (sort of like “awareness”), agencies used to flaunt their amazing ability to build brands. They weren’t wrong. Unfortunately, it was and is easier said than done. Especially when clients are impatient for results. Still, it’s amazing how few advertisers get it right. Apple. Nike. Name five others. At my agency Potbelly Sandwich Works has a cult-like following, albeit mostly regional. And if we’re lucky and wise, Effen Vodka could get there. They have magic in their DNA. I’ve gone on about Canadian Club’s marvelous print campaign from Energy BBDO. Can their “Damn right” myth grab a hold of America’s men? The Minicooper campaign was on its way, though lately it seems to have driven off course. Regardless, these are tiny, tiny examples. And highly debatable. Where are the Zeus-like creations of modern marketing? Not just the big ones. The mythic!